Hat Box Arrangement. This beauty will be hand delivered by your local florist to help guarantee success on Valentine's day! Roses are red......and cream and pink! 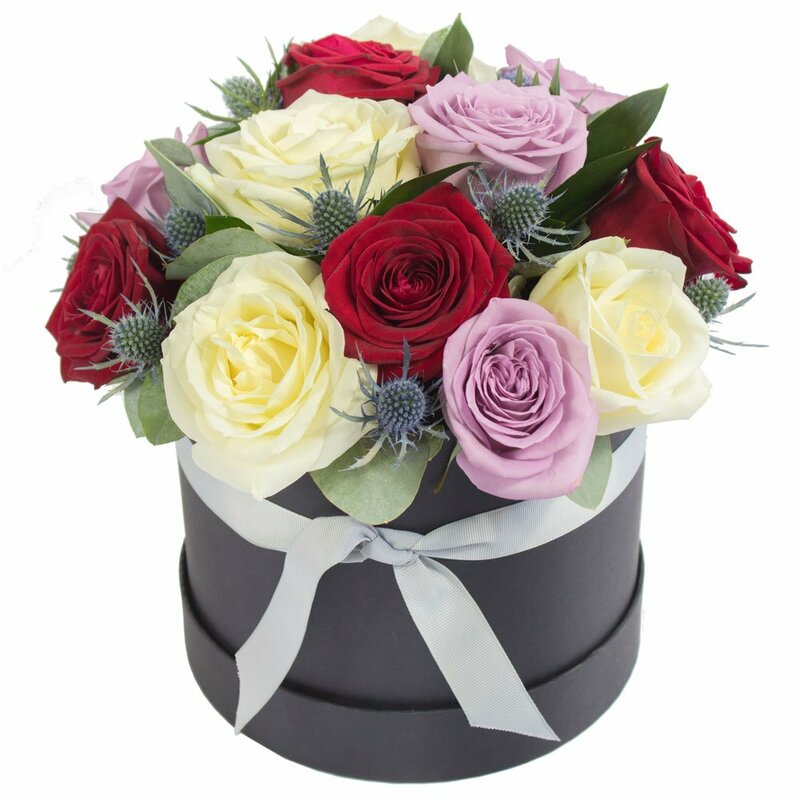 This arrangement has a trio of stunning rose colours.